Perth Harmony is a member of Sweet Adelines International, a highly respected organisation of 23,000 women around the world. As one of the largest singing organisations in the world, Sweet Adelines is committed to advancing the barbershop art form through education, competition and performance. 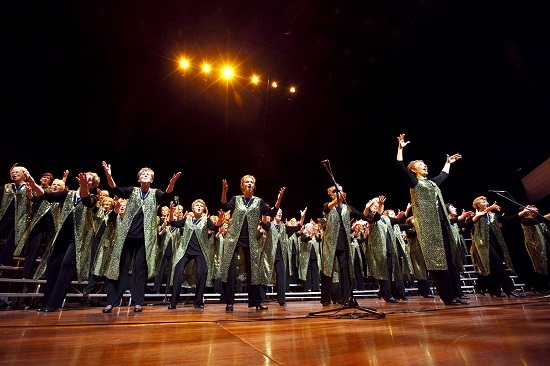 Each year, Sweet Adelines holds a national competition for around 30 Australian choruses. The winner is invited to represent Australia at an international competition – usually held somewhere in the continental United States. Perth Harmony is a regular competitor on national and international stages and, as a member, you would take part in these exciting events. Perth Harmony is also affiliated to Sweet Adelines Australia. Every week, 1,400 women sing in 32 choruses across the country. As the champion chorus in 2016, Perth Harmony represented Australia at the 2017 international competition held in Las Vegas in October 2017.